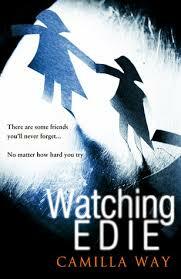 BleachHouseLibrary.ie: Book Review - 'Watching Edie' by Camilla Way. Book Review - 'Watching Edie' by Camilla Way. Edie is shocked to open her front door and see Heather standing there. The girls have not seen each other in years and did not part on good terms. Before long, Heather has inserted herself firmly into Edie's life again. At first the friendship is mutually beneficial, with Edie being pregnant and alone and Heather wanting to re-kindle their friendship, but before long things start to slide into an unhealthy relationship and Edie wonders if their unspoken secret could be the reason Heather has turned up out of the blue. Are her motives more sinister than they seem? Edie entered Heather's life at a time when she needed the distraction. Tension between her parents, an ongoing battle with bullying in school and a worryingly lonely existence all made for a miserable childhood. Until Edie came and brightened things up. Beautiful, arty, free-spirited and full of life, she was everything Heather was not. An unusual friendship formed and soon the girls were constant companions. However, when Connor became Edie's main focus, Heather was distraught. She watched her best friend deteriorate before her very eyes and felt completely helpless. Each day saw Edie slip more and more under the spell of bad-boy Connor and their toxic relationship was spinning out of control. Heather needed to do something. Fast forward a decade and Edie is now reliant on Heather. The tables have turned but she feels uneasy. Heather is gradually taking over Edie's world and there is a dark shadow hanging over the two girls. They have a secret. An awful, unspeakable secret. Will it raise its ugly head or stay simmering in the background? Psychological thrillers are hot-to-trot these days and are being published at breakneck speed to keep up with the demand from readers who are devouring them in their droves. But is this one any different? Yes is the answer. It has two strong female protagonists, both dramatically different and both shifting in the readers favour throughout the book. At first one feels empathy for the harrowed Edie. Alone in a seedy bedsit, heavily pregnant, no friends and no idea what will happen in the future. Then we get a glimpse of how she was in her previous existence; the one Heather dealt with. Not a pleasant person at all. We watch her spiraling descent, at the bequest of her despicable boyfriend and feel the powerlessness that Heather feels. Her relationship with Connor is reminiscent of the infamous one between Amy Winehouse and Blake Fielder-Civil. Destined to end badly. Sympathies shift to Heather as we read of her miserable home-life and pure devotion to Edie. She would literally do anything to protect her friend and one fears this will also end badly. Then the book shifts again, with Edie falling victim to Heather's over-protectiveness, leading the reader on a shifting journey of curiosity. 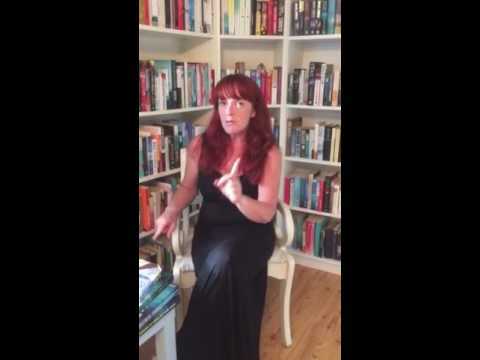 Book Review - 'The Privileged' by Emily Hourican.